Guest entry is £3 each and includes sandwiches after the talk, or you can join the group for £27 a year. Some of our members gather earlier at around 7 pm for a bite to eat in the pub, you would be very welcome. 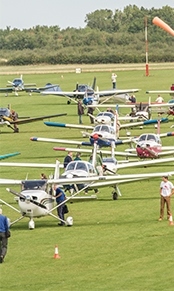 The LAA Oxford Group is a regional branch of the Light Aircraft Association.